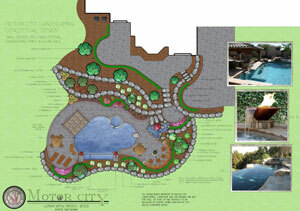 The Motor City design process is a collaboration of art and science, resulting in a one-of-a-kind landscape plan. 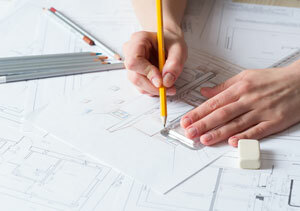 Skilled landscape architects and design experts carefully study the architecture of your home, the environment of your property, your lifestyle and personal aesthetic to ensure your vision becomes and expertly designed reality. Following the client’s approval of an established budget and the architectural designs, we move onto the development stage of our process. Through the development stage we conduct operations pertaining to the build process, homeowner associations, municipality ordinance approvals, permits, etc. With our designs finalized we are able to proceed into a more concise cost conclusion to be reviewed and approved by the client. Once all final landscape designs are in place, our project managers manage the landscape installation, ensuring your dream home is finished to perfection before you move in. 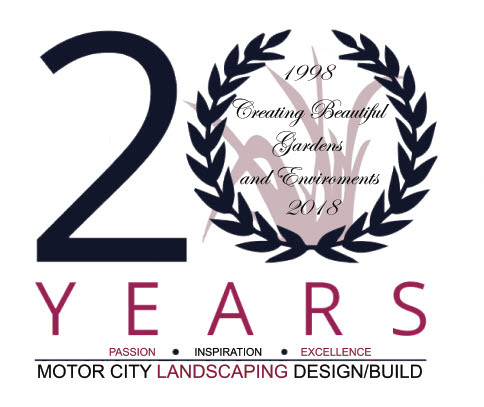 Motor City’s skilled installation crew will complete an environmentally conscious installation process using the highest quality materials, products, stunning flowers and lush greenery to ensure your landscape compliments your property and your beautiful new home. After installation, Motor City Landscaping offers a full range of worry-free maintenance services to keep your landscape looking healthy and beautiful. 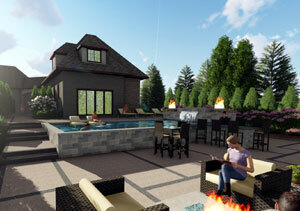 Landscape experts will develop a customized maintenance program specifically for you. Spend your free time enjoying your outdoor space, not maintaining it.